Solomon Islands, Umbuni, 1982 - The area of the world known as Melanesia had the most profound impact on me of all my travels. From the moment I arrived, I began to see the world differently; the people lived in a society with such different values than the ones I had previously been exposed to. Here, life was hard and men lived boldly. Umbuni was the chief's son. To reach his land, the Kwaio, I sailed across the Pacific Ocean to Honiara, the capital of the Solomon Islands, traveled to Malaita by local boat, took a truck across the island, then caught a ride with Fred Billy Akwafaasie across a large stretch of ocean in a motorized canoe to Sinalagu Bay. Fred Billy was a Christian. He walked Kelly Soma and I up the steep bush track to the frontier of the Kwaio. Fred Billy's village had been converted to Christianity by missionaries, whereas Umbuni's people rejected conversion. On the way up the bush track I asked Fred Billy if he still believed in the old ways. At first he flatly denied it, but then he revealed that traditional beliefs linger for a long time. He said, "No, I don't believe in the old ways?but sometimes at night, you can feel the spirits of the ancestors." 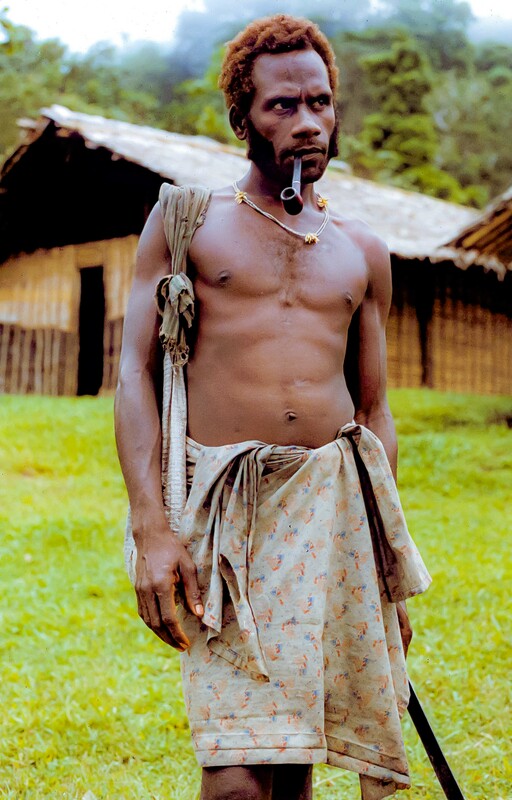 Ancestors were worshipped in the Kwaio in skull houses, where the skulls of their forefathers resided. I asked Umbuni what would happen if I entered his land without his father's permission. Umbuni, a gentle and kind man, stated his case simply and without aggression: "I would kill you."